At least 16 royal guardsmen have been killed in Morocco after their bus plunged into a ravine, media reports and doctors say. More than 40 other guardsmen were injured in the crash near al-Hoceima in the north of the country. 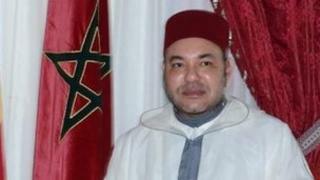 The guardsmen were reportedly travelling north to prepare for a visit by King Mohammed VI. The 6,000-strong Moroccan Royal Guard is part of the military but its sole function is royal security. The Moroccan news agency MAP said the bus had fallen into a 200-metre (656ft) ravine on the road between Tetouan and al-Hoceima but that the cause of the crash was not yet known. The injured have been taken to a provincial hospital in al-Hoceima. Eight are said to be in a serious condition. The guards were said to be heading to al-Hoceima to cover the king's visit there. MAP reported that the king had announced after the accident that he would cover the medical and funeral costs for the families affected. The Moroccan Royal Guardsmen are recognisable by the red berets they wear and always accompany the king when he is in the country.